G Suite being a cloud storage service, has the main purpose to increase storage space beyond the limits of a hard drive. It is most widely used for business purposes which means it gets important for users to keep sensitive data safe and secure. But, sometimes there is no security factor, which makes a person worry about the data. If you want to save file online, there might be a chance of data corruption. Therefore, in order to prevent the loss of confidential data, it is quite important to download G Suite emails for the backup purpose. Here, we are going to discuss different methods by which you can easily save Google Apps data without any risk. Go through the following methods that will help to backup Google Apps data & save to your local storage. Start with Sign-in to G Suite account. In the top-right corner find Profile icon >> now click on Google Account option. Now click on Data & personalization option in the menu bar. Scroll through the page and click on Download your data feature. Enable the Switch button and hit on Next. The archiving process will take place. Wait for a while. Once the process completes, a download link containing the exported data will be sent to your Google Apps account. Extract the data fom archive file (.zip/.tgz) & save to system. Users can opt for a reliable and instant solution, i.e., G Suite Backup software. It is designed in such a manner to backup and export G Suite email and items, i.e., contacts, calendars, etc., for Business and Work. 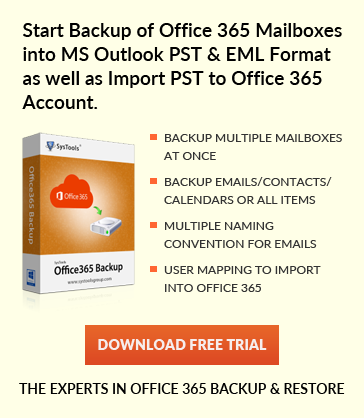 It allows the user to migrate All or Selected Domain mailboxes in one click. Also, maintains folder hierarchy as before even after exporting the backed up G suite data. The best part of this tool is that it offers “delete after download” feature by which users can delete G Suite account data from the server simultaneously. Here is one more manual method to download G Suite emails and data. First of all, remove data from a mobile phone connected to account. 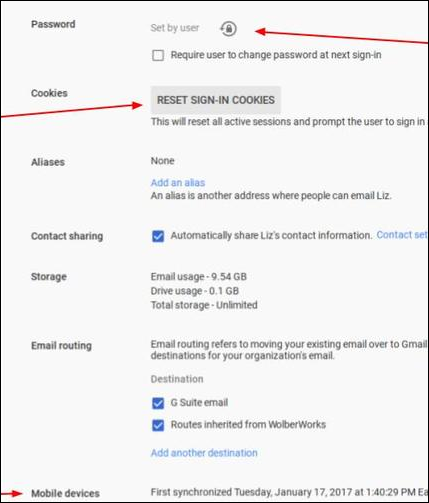 Login G Suite admin account to G Suite administrator console, select Users, enter the user’s name, then choose Account option. You can see all the mobile devices connected to account under the account section. Choose either Wipe this account to remove organization’s data from a device, or Wipe this device to remove all data from device. Now, repeat this process for every connected device. Secondly, change the user password and then, create a new password. You will need it later. Select Reset sign-in cookies that require the user to re-login all devices. 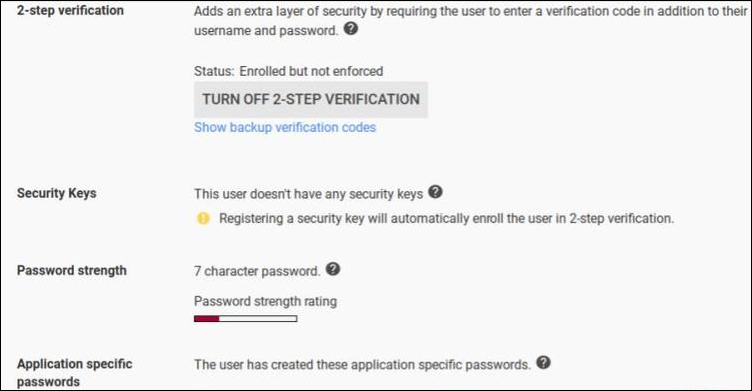 Return to user’s main settings page, next scroll down to the Security section (you may require to choose Show more). Repeat application specific passwords and authorized access items listed below screenshot. Make sure that you turn-off two-step authentication. After that, login to a former employee account and delete any recovery phone or email address associated with that account. Now, you have control over the former employee’s mail account, and will block the former employee’s access to your account data. 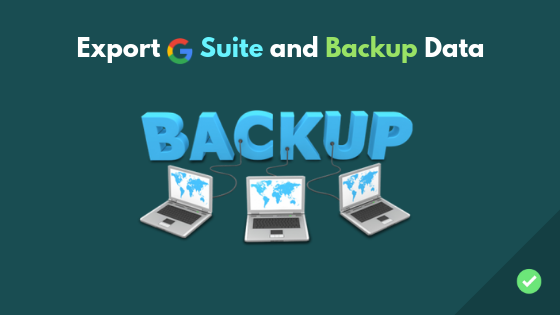 To have a backup of G Suite account is very important nowadays. By this, users can easily protect Google Apps data without any risk or data loss. Therefore, in this blog, we have discussed simple steps to save G suite data securely. However, manual method may lag sometimes when data is huge, so users can go for an automated solution, i.e., G Suite Backup. It is the best solution that helps to Export And download G Suite emails and other data on a local machine without any data loss. Copyright © 2019 www.softwarepro.org | All Rights Reserved.